When will be Health: Truth or Scare next episode air date? Is Health: Truth or Scare renewed or cancelled? Where to countdown Health: Truth or Scare air dates? Is Health: Truth or Scare worth watching? Angela Rippon and Kevin Duala go in search of the facts about good health. With allergies on the rise, Angela investigates some surprising reports of possible treatments, including the claim that a gin and tonic can cure hayfever. Meanwhile Kevin discovers if the millions of people prescribed a common heartburn medication - himself included - could be risking serious side effects. He puts his stomach through a test to discover the truth. Steve Brown spends a month being mindful, after reports that the effects of mindfulness can be life-changing - but not always in a good way. Angela Rippon and Kevin Duala untangle more mixed-up messages about our health, this time asking if it is possible to be fat and fit. Also, Angela tries acupuncture, which some reports now claim is no better for pain than a placebo. Could a remedy that has been around for thousands of years really have no benefit? And, with the average person spending more than two hours a day on social media, Steve Brown makes sense of conflicting reports that doing so can damage your mental health - or be a force for good. Angela Rippon discovers if it is really true that the antibiotics doctors rely on to kill infections are becoming useless, while - unpicking reports that skinny jeans and hooded tops can cause back pain - Kevin Duala finds out the best and worst things we can do to keep our backs healthy. And Steve Brown investigates if wearing glasses makes your eyesight worse. In the last of the series investigating the truth behind the latest health reports, Angela Rippon teams up with some boxers to test some worrying claims about paracetamol - and discovers what is really the best way to knock out a headache. Meanwhile, Kevin Duala investigates the mistakes we all make in the sun to find out why skin cancer is at an all-time high, and Steve Brown finds out the truth behind terrifying warnings that the everyday products in our bathroom cabinets could be harbouring some dangerous chemicals. 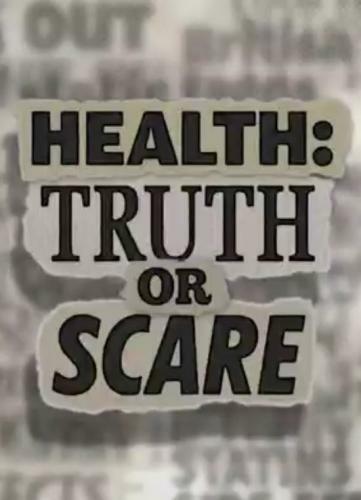 Health: Truth or Scare next episode air date provides TVMaze for you. EpisoDate.com is your TV show guide to Countdown Health: Truth or Scare Episode Air Dates and to stay in touch with Health: Truth or Scare next episode Air Date and your others favorite TV Shows. Add the shows you like to a "Watchlist" and let the site take it from there.